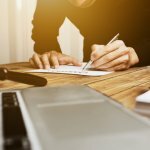 National Teen Driver Safety Week: October 18-24 | Wayne G. Resmini | Resmini Law, LLC. October 18-24 has been designated National Teen Driver Safety Week by the NHTSA â€“ a seven-day initiative aimed at reducing the overall amount of teen driving deaths. According to the NHTSA, car accidents claimed 2,614 teen lives and another 130,000 were injured in 2013 alone. National Teen Driver Safety Week seeks to educate teens and parents not only on the alarming statistics but also easy ways to foster safe driving. The initiative also provides ways for parents to engage their teens with conversations centered around distractions to avoid while driving. 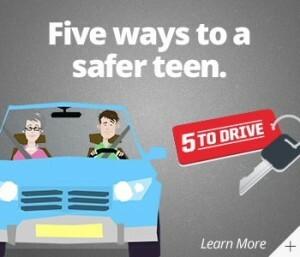 NHTSAâ€™s campaign focuses on â€œ5 to Driveâ€, which outlines five ways teens can stay safe on the roads. The NHTSA recommends starting the conversation with your teen with drinking and driving. Alcohol accounts for a large amount of teen auto accidents each year and parents need to set an example for their young drivers. Emphasize to teen drivers that the drinking age is 21 and that driving while under the influence â€“ at any age â€“ is a terrible idea. Many teens feel they are â€œtoo coolâ€ to wear a seatbelt or simply forget to buckle each time they drive. Not buckling up could mean the difference between life and death â€“ teens need to be aware of this reality and be sure to buckle up, whether they are just driving down the street or accessing busy highways. Texting and driving is a growing epidemic that is especially rampant among teens. Unfortunately, many teens donâ€™t realize the harm of texting and driving until itâ€™s too late. Some states have even debated whether to ban cell phone use completely while operating a vehicle. 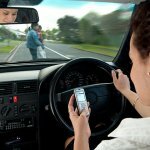 The NHTSA encourages parents to enforce a stringent cell-phone-while-driving policy with their teens, and even recommends teens refraining from using their devices altogether while driving. Itâ€™s worth noting that teens are still in developmental stages – both in life and on the road, so itâ€™s important to send the message early that texting and driving drastically increases their chances of an accident. As with seatbelts, many teens associate driving slow with uncool behavior that will be judged by their peers.The NHTSA suggests that parents illustrate to their teens that every time their speed doubles, their stopping distance quadruples. Parents need to watch their speed, too, and set a positive example by staying at or below the speed limit while teens are in the car. The final component of the NHTSAâ€™s â€œFive to Driveâ€ campaign is limiting the amount of passengers that teens allow into vehicle. Many states prohibit any passengers in teensâ€™ vehicles since they are still learning to drive, and any additional person in the vehicle increases the chances of an accident. This one is particular is hard for parents to prevent, as teens who have their driverâ€™s license will be asked by peers to give them a ride. One way to keep an eye on your teen is to periodically call your teen during known driving times (i.e. before/after school) to make sure there arenâ€™t any other passengers present. Starting conversations with your teen driver well before they earn their license can help foster safe driving and smart decision-making. Parents should also remember to set a good example themselves, as teens are still at an impressionable stage, and any poor driving habits could be mimicked. By educating teens and being a positive role model, parents can help their teens drive safely and avoid an accident.